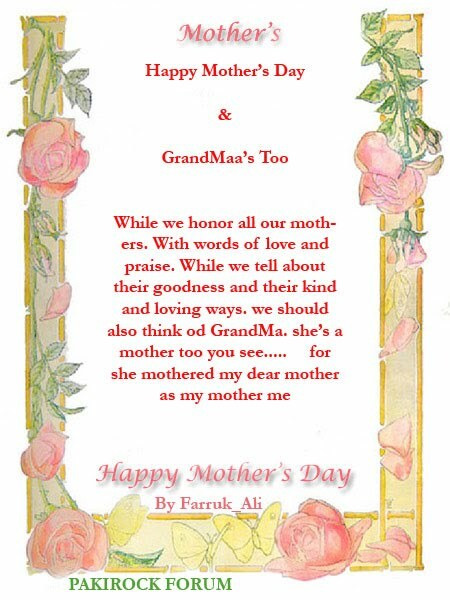 Happy Mothers Day To all The Members of Pakirock Forum. Subject: Re: Mother's Day ! !